For those that haven’t heard they are a prestigious award ceremony for individuals, charities and organisations within the UK who are promoting and making the world a more diverse and inclusive society. They were launched in 2012 and have huge sponsors including Microsoft and endorsed by many celebrities. I was aware of them through social media when both a charity I support and a friend I know where both nominated last year and I had the honour of seeing both get through to the finals and attend the awards night. It looked amazing! Imagine my utter surprise then when a few weeks ago an email appeared in my inbox from the National Diversity Awards informing me that my 9 year old daughter had been nominated for this incredible award this year! In fact I was so shocked I had to call them up as I was sure someone had made a mistake! Besides I had never seen a child nominated before so was sure something had gone wrong. I cried on the phone when I was told that, yes, my 9 year old daughter had really been nominated and yes, of course, children could and would be accepted providing they met the criteria. I am absolutely delighted and honoured to tell you that Naomi meets the criteria…at 9! 1. She single handedly forced the local council to make a children’s play park more inclusive for children with disabilities. How did she do this? Well Naomi has a twin brother who has complex medical and developmental needs. When her local play park was redeveloped at a cost of £160,000 Naomi was so excited to go and play with her brother. However on returning home she announced she was ‘sad’ because she noticed right away that while she was able to use the new swings her disabled brother wasn’t. She watched as all he could do was place his cuddly toys in the baby swing and push them because he was too big for the younger swings but developmentally unable to use the traditional flat swings for older children. Of her own doing at just 8 years old she put pen to paper and wrote this letter to the ‘park builders’. As her mum I was so touched I knew something had to be done. Her voice needed heard. All I did was photograph her letter and tweet the council. It was all Naomi’s thoughts, ideas and writing. Neither she nor I had any idea how a child’s letter would catch the attention of the media. Naomi went on to appear in all the national and local newspapers. She was featured on ITV news, magazines and even as far away as RTN in Germany! None of this phased Naomi who was much more delighted to be able to push her brother on a suitable swing when one was finally installed five days after writing her letter. This alone deserves her to win! That swing is now used by thousands of children, not only children with disabilities but children of all ages and abilities who are now able to enjoy the park better as a result of the action of one child’s compassion and determination. 2. She overcame her own anxiety to appear on BBC breakfast to help fight for children with autism to be allowed sensory aids when schools were banning them. 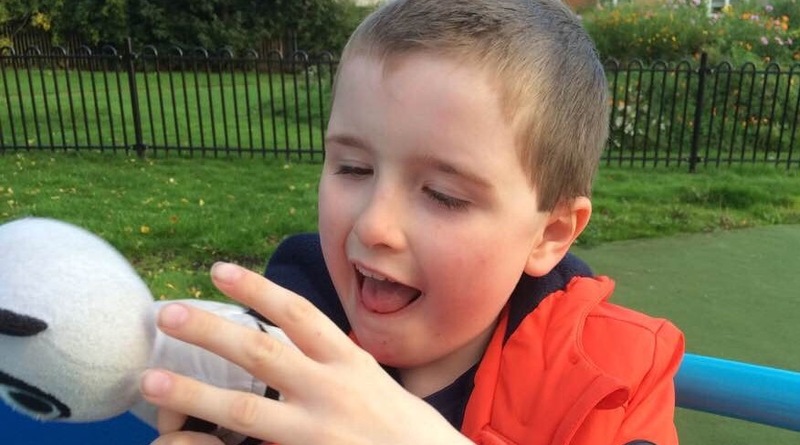 When fidget spinners were suddenly all the craze I happened to write an article about how lovely it was for children like mine ,who both have autism and sensory needs, to be included more. As schools began banning the aids because they had suddenly become the latest craze Naomi became quite angry. She was indignant that children with sensory needs should be punished just because a sensory aid had become a popular toy for everyone. So when I was contacted by the BBC and invited onto their flagship BBC breakfast show and asked if my children would like to come too Naomi was determined to not only come, but to show personally how sensory aids were useful for children like her and her brother. This involved a long train journey, a stay in a hotel overnight and a very very early rise as we had to be in the studio at 6am for the live show. All of this would be a challenge for any 8 year old, but for Naomi who has autism, severe anxiety and selective mutism all of this change was massive. She did it! She may not have been able to speak but she showed the presenters her sensory aids and was determined to be there to fight for the right of others like her to have aids they need. I was so proud of her. She overcame her own fears and anxieties to help others. That’s incredible for anyone let alone a child. 3. She showed immense bravery and courage to open up and write about her own struggles with food in order to try and help others. Naomi knew I wrote about her and her brother. She was always asked her permission before I published anything about her and she would read over and change anything she wished. When one day a friend asked if Naomi would like to write something herself and suggested she may like to talk about her struggles with food Naomi decided she was ready. She dictated her thoughts to me and made sure I was recording them exactly as she said. When she had read through what she has said and amended anything she wanted I then asked her if she wanted to keep it for herself or share with others. Her immediate answer was to share it because others may be worried about the same things and she didn’t want them feeling alone! So her first blog was published via my own blog and it went viral very quickly. To date it has been read by over 250 thousand people all around the world and helped so many to understand and empathise and therefore hopefully become more tolerant and inclusive of those who struggle with food and eating. I am sure you will agree that showing that level of courage and bravely to make the world more inclusive and understanding of eating disorders deserves recognition alone. She has achieved more in 9 years than many of us achieve in a lifetime. I should not really have been shocked she was nominated for such a prestigious award but in my eyes she deserves to be honoured at any level. Even if she does not progress any further it is so good for her to know that her efforts are worthy of recognition and that people see that she really is making the world a more diverse and inclusive place to be..even at 9. Like every mum I was terrified when my baby started full time school. Even as I dressed her in her shirt and tie I wondered yet again if mainstream was going to be the right place for her. I had more reason than most to worry as she left that day still unable to dress herself and not yet potty trained, diagnosed with autism and selective mutism, and despite having had an extra year at nursery already, she was still one of the smallest children. On top of all that she carries a heavy burden wherever she goes even at the tender age of five. I often wonder if professionals realise the daily weight that siblings carry on their shoulders every day? As well as her own diagnosis my beautiful blue eyed girl is the twin sister of a boy with even more complex needs. 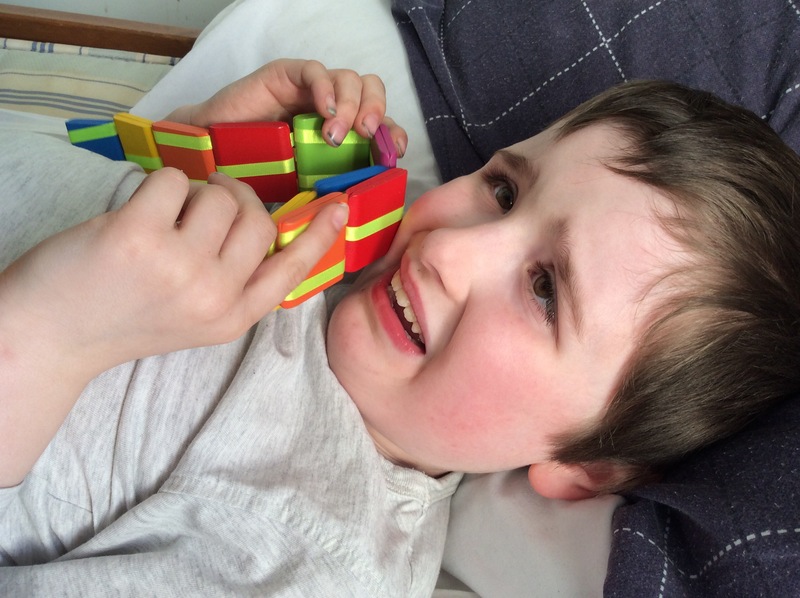 He has tumours, severe autism, challenging behaviour, global delay and is non verbal. She has to live with that at the fragile age of five. How would she manage without him as his school placement was 14 miles away from hers? How would anyone know to meet her personal needs if she was unable to talk? Would her anxiety, vulnerability and tiny size make her an easy target for bullies? Would her home life stress cause issues with her learning? But something changed that first week she started school. And one day her classroom assistant told me that my special, fragile, silent girl had actually changed that whole class of new starts without even saying a word. It turns out there were two other children in her class who were also silent, but for a very different reason: they were unable to speak English. For ease of teaching my daughter was sat next to these children so the one assistant could help them all. But none of the teachers spoke Russian and everyone was still trying to work out the best way to help this group of children who due to inclusion had all been placed in the same mainstream class. The teacher taught a lesson and the children sat on the floor. My baby girl sat and listened intently and returned to her seat. The class had been asked to draw a picture and write their names at the top of the sheet. As all the eager children started to pick up pencils and pens Naomi just sat there. She watched as the classroom assistant struggled to help the two others who had no understanding of what had been asked of them. As another child momentarily distracted the assistant Naomi got up from her seat and walked over to the two children. She took the water holder from the middle of the desk and pulled it beside them. And silently she took each child by the hand and pointed to their own name and then pointed to the top of their paper. She then picked up a crayon and began to mark their paper every so slightly and pointed to what the others were doing. She waited while they took in her attempts to communicate without language and slowly they began to copy down their name and begin drawing. She looked at them and smiled. And only then did she return to her own chair to try and write her own name. The classroom assistant cried. The teacher watched. The most unlikely child in the class had taught them all a lesson that day. The child diagnosed with a communication disorder actually showed them all how to communicate. She still does not know one word of Russian. But living with a non verbal brother with complex needs taught her something that changed her entire class of children without her saying a word: it doesn’t need words to help people. I still worry. But I know that in all she lives with she is somehow managing to turn ashes to beauty. And I could not be more proud of her.